Maybe Martians should land more often in this city. I like this proposed tower. Positioned on the edge of Gastown where Cordova Street bends as the original townsite grid meets the downtown grid, the tower sits between two very strong heritage buildings which can certainly hold their own against the new comer. 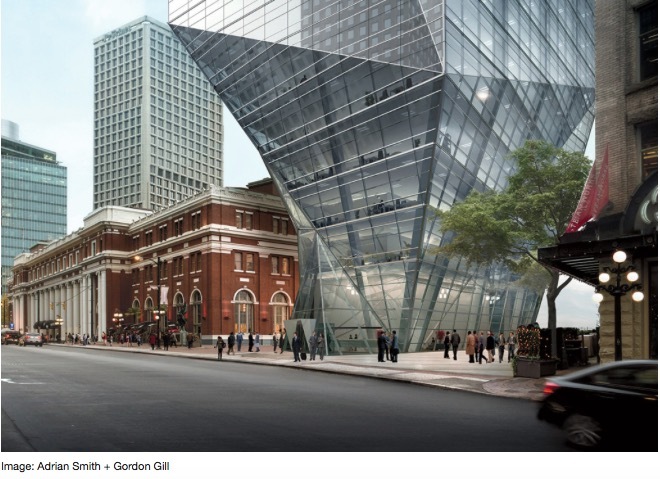 In this situation, I think the contrast is a very appropriate response from the architects, with the proposed tower actually highlighting the heritage buildings. Sometimes being too contextual just leads to boring and uninspiring results. 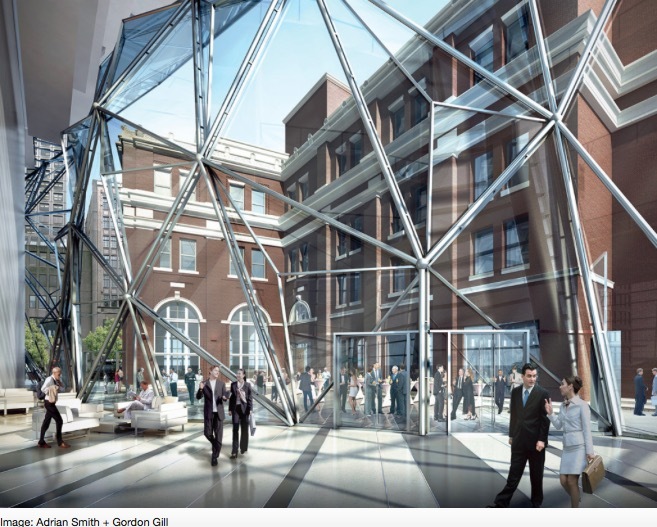 Looking at the other renderings available, I think the relationship between the former CPR station and the new building has been well thought out.